“I think the leadership skills and confidence these children develop will be with them forever. “The students and teachers were inspired and awed by how much the clown presenters have learned academically, physically and spiritually. 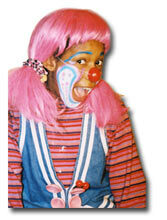 Bring the Prescott Clowns to your event!